Much to my dismay I still only own Gygax's first three Gord novels. Having read Sea of Death recently and posted on it extensively, I was reminded of how humorous alot of Gygax's characters are when they curse and cast insults at each other. This is especially true of Iuz, Obmi the dwarf and Gord himself. It made me reflect on how I roleplay villains and henchmen. I'm not sure I am liberal enough with insulting my player's characters. Given that I'm running a piratical campaign, this is important you see. Anyhow, I went back and skimmed through Saga of Old City and Artifact of Evil to see how consistent Gygax's insults were, and yes indeed he loved to hurl them out in all three. Without reading the books, you can tell these insults are written by him too, because they have that certain "pulpy wordplay" feel that was so common in everything Gygax did. I can only imagine he got more proficient at linguistic lambasting in his latter novels. Just to share, here are several of what I would call his "PG-13" insults. I hope you enjoy you flithy, rotten maggots!" what you just said about me?" "vagabonds, liars and chicken stealers"
Yup, it's that time again! For those who haven't followed along since the beginning of the current story arc, it actually begins at the end of the previous one. There are links at the bottom to navigate from there, or to go back and read some of the gods in space's previous adventures. Enjoy! Read the current episode here. Navigation: (Stormwrack) Three skill check fails and you're miserably lost. Maps or no maps. Evasion of encounters: (Expert Set rule converted to 3.5) I like this simply elegant system for ship/monster chases. It's just an opposed skill roll modified by relative speeds. No messy chase systems that will take half the game session and the fact that encounters can be avoided speeds up sessions as well. Movement rate and Wind Modifiers: (Stormwrack) This was lifted from the book. I saw no issues with it as it compared favorably with other editions. A typical caravel will make 30 miles a day average which is the exact length of a GH map hex. Weather generation: (Stormwrack) Their chart was simplified enough that it still broke things down into cold, temperate and warm climates. Sure I'd love to use the official World of Greyhawk Weather Generator but its one of those uber-simulations that really slows the game down. Damage from weather: (1e DMG with 3.5 conversion) This one I couldn't pass up. To create some quick random trouble on stormy voyages, now there are percentage chances for things to happen to the ship; from capsizing (there is a save for this one) to broken masts to crew falling overboard. Repairing damage: (1e DMG) I went with an overall Hull Value system for ships instead of treating each damn section of the ship with HP like Stormwrack did. Consequently this makes damaging and repairing rules fast and low maintenance. Grappling and Ramming: (Stormwrack/Expert Set) There were many ways to handle this and opposed skill rolls by the capatain seemed to fit the edition best. Ramming damage is the amped up version from the Expert Set as opposed to the feeble damage in Stormwrack that would have ships bouncing off each other. Ship stats: (Stormwrack/Expert/1e DMG) For the most part I lifted these straight from Stormwrack inculding seaworthiness and shiphandling skill modifiers, cost and crew compliment. Their Hull Value and Armor Class I worked out from older sources. I changed greatship to galleon and I added the carrack by my own design to fill in a gap in ship size from caravel to galleon. Ship weapons: (1e DMG/Stormwrack) This one is mainly derived from the siege weapon system in 1st edition with some tweaks by me that lead into my rules for handling fires. For instance, 10 flaming arrow hits do no hull damage but cause a roll on the burn chart where a Fireball spell explodes for .5 HV damage per die and a burn chart check per 5 dice. Burn damage: (1e DMG/Expert Set) This hybrid system is a chart that is rolled on anytime an attack method causes a fire to spread. Depending on how high the roll is, the fire acts is staged in how much hull damage it causes each round. The five stages run from Minor to Critical in keeping with 3.5 names. Extra fires of a lower stage than the ship is currently burning do no extra damage but accumulate to raise it to the next stage. Then, in keeping with the Expert set, a simple system of 5 or more crew to reduce these fires a stage is used. Encounters: (Stormwrack/Slavers/Drg #116) This one took a lot of time and is still a work in progress. I used 3.5 edition encounter rates, ship specific encounters from the High Seas article in Dragon #116, and I cobbled together several d100 encounter lists from varying sources. Notable is a sublist I gathered from various sources of Special Events. Sometimes an encounter isn't always a monster or ship. I came up with two d100 charts of various other seabased events that could happen on a voyage. I can't wait! I still have to playtest alot of this stuff so I won't be publishing these rules, but maybe someday I'll refine them for public consumption. Comments and advice are welcome any time. I'm a bit late reporting on this news, posted on my "home site" Canonfire, yeah, but I've known about it for much longer. I was in "wait-and-see mode" I guess. For those who don't know, Oerth Journal is a long running Greyhawk ezine started back in the 2nd edition era by many notable fans of the setting when Greyhawk had been put into hiatus, much like it is today. So now, Oerth Journal is back in production (it never really stopped per se) and hopefully with this shot in the arm we'll see some new Greyhawk fan talent put their stuff out there. I for one have already been a frequent contributor to the Oerth Journal in the past, as both a writer and artist. It's highly likely I'll be in one of their future efforts as well. Ideally I'm hoping for an exciting new look format with this announcement. Being the most well-known fan-publication of Greyhawk material, it's worth a try for any lover of the setting who has ever wanted to see something of theirs published for a wide audience. To their credit there is now a blog for Oerth Journal for those who want to submit ideas or ask questions. Emails can also be sent to oerthjournal@gmail.com. I'll keep y'all informed if I hear about any content that will be coming out in their issues to come. Later! Another episode of Mystic Scholar's entertaining Greyhawk City based story That Infamous Key is now up for your reading pleasure. For those who have just tuned in, there are links to the previous episodes over at Canonfire. The fifth episode features a trip to the Temple of Pholtus (watch out for some guy named Issak), a trip to the Green Dragon Inn (where dropping the name 'Mortellan' will get you ahead), and a trip to a gang's hideout. All in a day's work! Starting tomorrow, the highly anticipated Game of Thrones series premiers on HBO. Based on the first book in the A Song of Ice and Fire novel series by George R.R. Martin, this show promises to be inspiration for many a fantasy gamer. Interestingly, despite the popularity of the books, the setting itself has not generated a huge following in the RPG community even though a few serious attempts have been made well before the TV series ever came about. Long ago in the heyday of 3rd Edition, Wizards of the Coast published an adaptation for the Westeros setting in Dragon Magazine #307 (Co-written by Greyhawkian author Wolfgang Baur). This issue included a decent map of the world from Game of Thrones and an interview with George R.R. Martin. In addition to one issue of Dragon, there has even been a couple fully realized RPG settings published about these books. Now, I haven't played any of these adaptations mind you. As a rule I try not to run games based on popular fantasy/scifi series (Sorry no Star Wars or MERP for me). My statement that Game of Thrones is not a hot RPG is purely based on observations among online communities. I just never see it discussed. But that could change soon! I won't go into the entire plot or format of the stories here. It's an exhaustive topic and if you've been reading this long I'm guessing most of you already have a working knowledge of them by now. The second part of this post is to comment on the synergy of Game of Throne's medieval-political drama with the similar feel of the World of Greyhawk setting. Taken as a low magic campaign without the usual mega-dungeoncrawl-demigod-nemesis backdrop, Greyhawk the political setting could be ran in much the same vein as these books. Characters in this type of campaign are all members of noble families, are their loyal knights and retainers, or are maybe even commoners struggling to get by the world. Players could conceivably be allies or enemies as this sort of game favors storytelling over loot allocation. Indeed, this set-up is exactly what the 2nd Edition Birthright setting was made for, yet it failed as well. It's a head-scratcher for sure. I don't have any specific pointers on how to start a Game of Thrones-ish Greyhawk campaign yet, although my first impulse is to set it in the timeline of the Great Kingdom of Aerdy at its height, when it ruled 75% of the Flanaess map. Most of your major kingdoms (Furyondy, Nyrond, etc) are still distinct but serve an overall Overking. There is also no Iuz in the north yet, so more mundane bandit and nomad threats appropriately get pushed to the front. Anyhow, if anyone has ever had similar thoughts about these books and running a Greyhawk campaign I'd be keen to hear your comments. Enjoy the show! One last thing: Martin's latest novel in the series, A Dance with Dragons, which has painfully been hung up for years, is finally hitting the public July 12, 2011. Huzzah! Game designer and good friend of the Greyhawk community, Creighton Broadhurst has a series over on his blog, Raging Swan, about cool words for gamers. 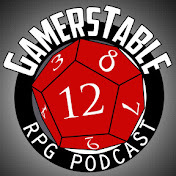 The latest installment is a dedication to Gary Gygax and the modules G1-3 Against the Giants. Creighton explains the meanings of the weird words used for some of Gary's wackiest pregenerated characters and where he got them in the first place. It's a good read, check it out. Last time I was comparing Gygax's map of the Flanaess from the novel, Sea of Death with the place names from the official game setting, and trying to reconcile them together. This week I'm bringing to light some of the lands beyond the Flanaess that he drops hints to in the novel. These aren't complete throw-away references mind you, as later on in the book we meet characters who may or may not come from these far away places. In fact, the town of Karnoosh on Lake Karnoosh (Kanak on Lake Udrukankar in the Dry Steppes for those who only know the Darlene map) is the central trade hub for these cultures and it seems caravaning around or through the Ashen Desert/Sea of Dust is not so impossible for these peoples. "The Shah of Karnoosh was very rich and very powerful. There were no strong states around his little realm, so for a century there had been no warfare troubling the place. Such peace and prosperity brought even more merchants to Karnoosh, and it was a thriving cosmopolis by all measures of the whole of Oerik." "Many come and go to and from Lake Karnoosh and the rich markets of the bazaar there. Bayomens, Yoli, and even the dark Jahindi all travel to and from that place. Even the folk of Sa'han and Behow are seen at Karnoosh." The people of Changol, (location to the south of the Ashen Desert I believe) are also prominently mentioned in the novel and are known for their giant riding lizards called gwahasti. These creatures are used for crossing the dust sea at one point in the story. Another mode of transport in the book is a wind powered dust-sailing vessel built with materials from the "lush semitropical valleys that lay to the west of Tashbul." (Behow and Sa'han?) There is also a brief mention about slaves sold in Karnoosh working at the salt mines of Zondabad (location unspecified but I would guess it is part of the lake area) and there is a reclusive Baklunish tribe called the Chepnoi who live on the edge of the harsh desert, in the Grandsuel/Sulhaut mountains and make good wine in their valleys. Weird I know. 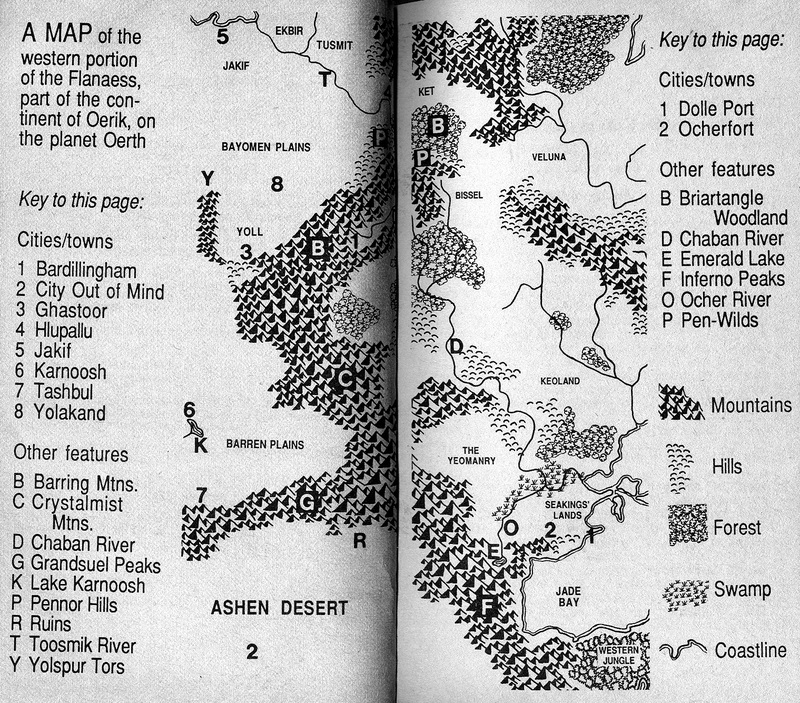 Fans in the Greyhawk community have made attempts over the years to merge most of these novel sources (and others I'm sure I missed) with undetailed parts of the Oerik map though later publication of the often mocked "official" map of Oerth in Dragon Magazine Annual #1 made Gygax's apocryphal states slightly harder to pin down. 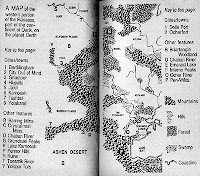 Gygax populates western Oerik with so many distinctly interesting peoples in Sea of Death, that it makes me wonder what things might have been like for the World of Greyhawk setting if Gary had stayed on to the end. Anyone curious about using these exotic Baklunish locations should track down a copy of Sea of Death. Next time I will conclude my book report on Sea of Death by pointing out the numerous cultural references for my pet favorite nation, Ull (Yol). Glenn Vincent Dammerung is at it again over at Canonfire, with another assortment of uniquely named, Famous Gems & Jewels of the Flanaess. Or as my friends call them, "Gems That My Dungeonmaster Will Never Let Me Have." Anyways...this installment continues where the last one left off and then some! It covers a variety of ornamental jewels belonging to human clerics and kings as well as ones crafted by elves and dwarves. Check it out! The four came upon a wine cellar and much to Vic's surprise (chagrin) all the bottles of wine and rum were broken. Secondary to this discovery was the dead body in plate armor, face down in the middle of the floor. As Araxo looked on from the stairs, Vic searched the body, Cuahto searched the man's backpack and Pickles, well he rummaged in a metal bin of trash. What all three had in common was rot grub infestation. Barely avoiding that 'trap' they moved on to follow some tracks to a secret chamber beyond the cellar. A group of pirate looking scum had emerged from yet another secret room behind them and were ready to take the wounded, winded PCs prisoner much like they had done to the poor NPCs that were barricaded down in the cellar before them. The threatening group were fellow Holders and what operation they had going in the haunted house they didn't know, but at that point Araxo began to parley with the pirates and offered for their gang to join theirs. The leader of the "pirates" was impressed and agreed to give them one chance, a duel to the death between one of them and one theirs. Vic, being the least injured and the most foolhardy stepped up. For the pirates, they called out a gnoll! With the battle engaged, Araxo used the time to think of an escape plan, Cuahto found a hidden treasure room behind them in the skeleton chamber, and Pickles? He just laid there unconscious, it was his only defense. The Olman ranger found the lost laboratory of the alchemist, who still sat there decomposing in his chair. Arrayed in front of him was a thick volume entitled Ye Secret of Ye Philosopher's Stone and several solid gold objects including an apple and a skull. With little time to spare Cuahto took those items and returned to the life or death battle. Vic was losing and gnoll was relatively untouched, now was the time to act! Something remarkable happened, almost as rare as an eclipse or Halley's Comet. The protagonists fled and a chase scene began! The ranger carried Brother Pickles while Araxo used the oil he found to create a blazing fire and cover their mad dash for the cellar stairs. Vic trailed behind while the shouts of pirates sounded as they went to put out the blaze. And the axe weilding gnoll? He gave chase. Hot on their heels the gnoll ran after the group, bouncing and stamping until all of them were outside by a well. The party then split into three directions agreeing to meet back up in Saltmarsh, yet the gnoll gave chase to the weakest of the three, poor blood drained Araxo. Araxo quickly got winded and had to turn and fight. Cuahto being much more heroic, set Pickles down and turned back to help, firing a warning shot from his bow over the gnoll's shoulder. This got the humanoid's attention and it turned away from Araxo and started after the Olman. The ranger led him into a wooded area, hiding up a tree, until the hyena-man got lost or returned to the house. Crisis averted. Going back for Pickles, Cuahto caught up with Araxo who had already shuffled back to the bar they started in. Victor, having had enough went back to their ship and crashed in his hammock. At the tavern, the bartender had been running bets on who would make it back or not. Araxo called the Town Council back to the tavern and then laid it on thick, lying to them about how they defeated the "pirate ghosts" and so on. Thoroughly bamboozled, the townsfolk celebrated the heroes and the rather shady merchant Doal Critchlow took it one step further, offering to double their reward for such a dangerous job and then he briskly wished them a safe journey home in the morning. Araxo knew he was behind the sinister secret at Saltmarsh but for now they were all too weak to do anything about it. So back to the ship the rest went, to count their loot and lick their wounds. The pirates would have to wait another time. The four would be back in Port Torvin by the next evening where a new ship and a new crew awaited them. Campaign note: There is no rot grub stats in 3.5? What gives? Also, we only got through half of the module (As written is a two parter). I'm not sure on how I'll run the rest if ever, but it is nice to have some loose plot threads so soon. The guys are itching to get to sea so expect some high seas stuff next insallment. Alot of mistakes were made after discovering this captive. The first being removing the man's gag. The four learned his name was Ned Shakeshaft (a pun that was lost on none of them). Barefoot and barely wearing any clothes, Ned fast talked his way out of his bindings despite Araxo's protests. Mistake two. Ned claimed to be an adventurer on his way to Saltmarsh, when he stopped in the backdoor of the house for a rest and got sapped from behind. For saving him, he offered his assistance if only they would help him find his gear and loan him a weapon. Vic gave him a dagger despite Araxo's further protests. Mistake three. Ned was forced to walk point through the house for the party. Mistake four. Carefully overstepping some loose boards in the balcony, it was Brother Pickles instead that fell through, weighted down apparently by his newly acquired frying pan. Lying on the floor below, Pickles luckily didn't break his neck (much to Ned's chagrin). Resuming their search of the building, they came to another room with a cupboard and a fireplace. Araxo and Cuahtehmoc opted to search here, while Victor and Pickles went with Ned to search the adjoining room. Splitting the party is technically a mistake, but not for these scallywags. The fifth mistake here was not paying attention to Ned while he retrieved a different dagger he had stashed here. Meanwhile in the cupboard room, Ceemo and Araxo were creating their own mistake (#6). A moldy cloak was found and shook out in the room. The mold had a yellowish hue. Araxo promptly began to cough and hack up constitution points while his Olman compatriot seemed fine. The ranger just as promptly suggested Araxo light up a cigar grown and produced in the Hold. Whether this was a real medicinal cure for yellow mold or savage witchdoctory, the frail noble survived. Disgruntled, and finding little more than a few tiny diamonds and Ned's clothes, there was talk among tthe group about burning the entire haunted house down. But not before they checked the attic. Mistake #7 and #8. In this cramped and cluttered place, they all fanned out to search (again not a mistake, just standard procedure). Ned stayed behind with Ceemo at the stairs, while Vic and Pickles went left and Araxo went right. Seeing the moonlight through holes in the roof, Araxo stumbled upon a flock of bats. With long needle-noses. Campaign note: I am mulling over using the 2nd Edition Player's Option critical hit charts. This might make things more deadly, but I enjoy the bone breaking results you can get. At the same time I am utilizing a critical fumble chart I took from the 3rd Edition Dragon Magazine Compendium. It worked pretty good when I ran Age of Worms and should add to the swashbuckling randomness of this campaign.